The Mount Baldy climb is one of the most difficult in the LA Area with 4600 feet of climbing in 13 miles. The last five miles are extremely steep with an average of over 8% and some 15% sections. Start: Mills Road and Mt. 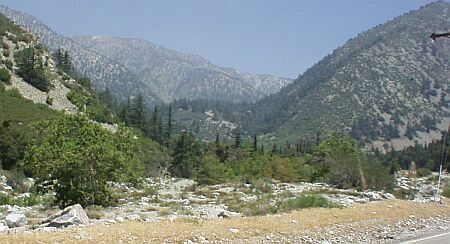 Baldy Rd. in Claremont. 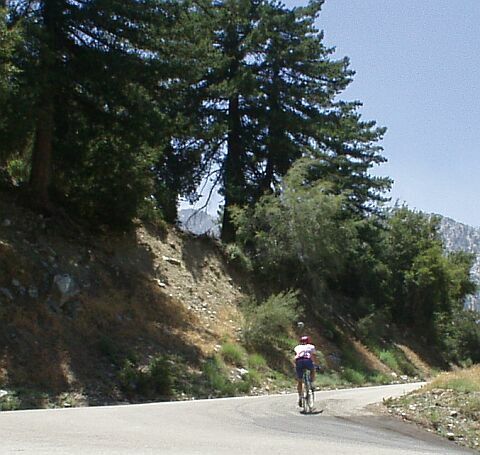 This climb can be described in two sections - like Palomar Mountain. The first section is eight miles to the intersection with Glendora Mountain Road with a 6% average. The harder part starts here with 4.6 miles of climbing at an average of 8.6%. 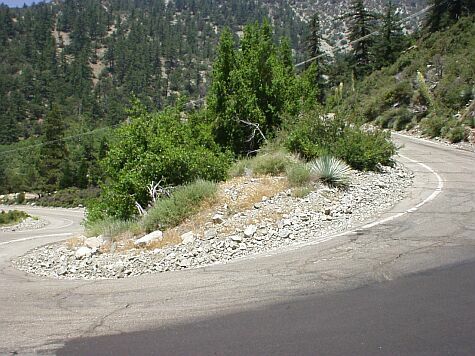 The road surface on the top part is very poor with very tight switchbacks. Alpe d'Huez Comparison: If you start at mile 3.83 (near the intersection with Mountain Ave at the top of the reservoir), the climb is 8.8 miles with an average grade of 7.6%. Alpe d'huez is 8.8 miles with a 7.9% average. 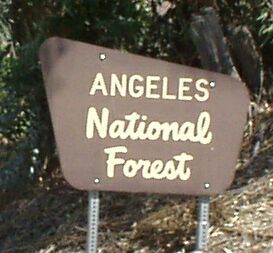 This is about the closest thing in Southern California that you can compare in length and steepness to Alpe d'Huez. However, if you start at mile 5 near the first tunnel, the climb is 7.6 miles with an 8.2% average. The last few miles of this climb are more dificult than most of Alpe d'huez. Exit Monte Vista Ave North, West on Baseline. North on Mills Rd.